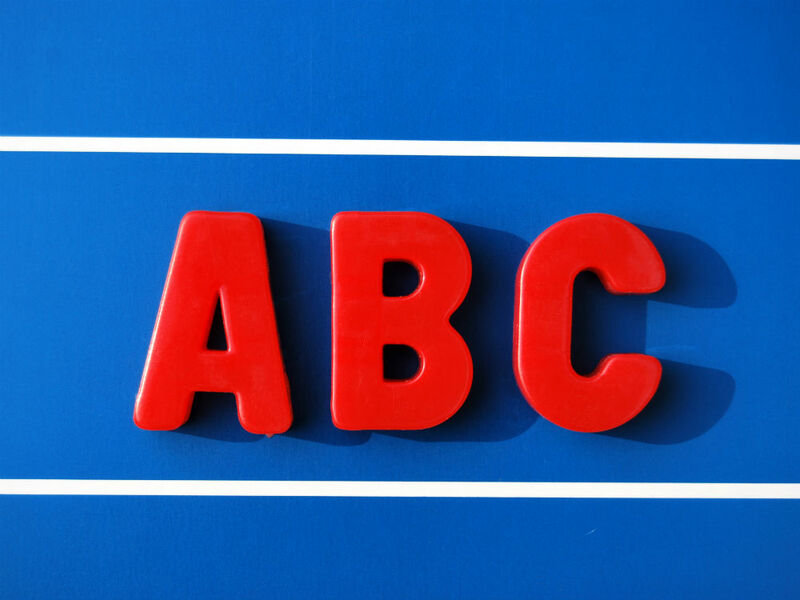 If you’ve had enough ‘Netflix and chill’ dates to last a lifetime then you might want to mix things up with the alphabet dating trend. If you are well and truly out of the honeymoon phase of your relationship, where dates involved you wearing something more adventurous than your PJs, then the Alphabet Dating trend may be the way to get back to that point. While there’s something special about being so comfortable with someone that you don’t have to bother covering up that blemish or care about scoffing a whole large Dominos pizza, there’s also something great about doing something a bit off-kilter with your love. Alphabet Dating’s concept is simple: you and your other half take it in turns to plan regular dates taking inspiration from the alphabet to plan your activity. It’s fun, pretty simple and means that you’ll get something more than ‘another episode of Making a Murderer then?’ out of your partner. BBC Radio 1 DJ Matt Edmondson and his wife go alphabet dating every week, with Matt recounting the dates on his show every weekend and dream couple, Tom and Giovanna Fletcher have also been documenting their dates on their Instagram accounts. While there aren’t too many other high profile celebs who have publicly taken up the trend, you can find a whole host of blogs about what dates people have been on just by Googling it. A – Start off your foray into alphabet dating with an Afternoon Tea at the posh hotel near you, taking a trip to the aquarium and naming all of the fish or how about a bit of culture at an art gallery? If you want to be a bit more playful, the arcade could work, or if you’re looking for an excuse to go away, head to Europe and book into an Airbnb. B – Organise a morning date at your favourite breakfast spot (it is the most important meal of the day after all) if that’s not your jam, how about signing up to Borrow My Doggy and going for walkies? Or heading to your nearest bingo hall in the hope of a full house. If you think of yourself as a bit of a Mary Berry in waiting, then bake up a storm with your S.O. C – Head for a night out at a caberet, concert or comedy show or if you’re feeling a bit more adventurous (and you think of yourself as outdoorsy) then camping could be your ‘C’. D – If you’re running out of ideas (really? Already?!) go for dinner at a nice restaurant nearby and dress up for the occasion, why not make it a double date as well just to ham up the ‘D’ dating ideas. If your love is into golf, humour them and take them to the driving range where they can teach you the difference between a birdie and a hole in one. E – is definitely for exploring. Head out on a walk and get a little bit lost on purpose or take the car for a ride and see where you end up. F – if you’re S.O. likes watching men run around in tiny shorts then take them out to the football. If you’re going all out, get some face paint on and learn the chants before you go there to surprise them. If you’re looking for a more subdued and wholesome activity, head to the local farmers market and pick up some fresh meat and veg before cooking together later on. G – Not a fan of the outdoors but your partner is? Compromise and indulge your inner-TOWIE by going glamping or if you just cannot abide any creepy crawlies, abandon that idea and go on a ghost tour or ramp up the competitive spirit in your relationship by going go-karting or hosting a good old fashioned games night. H – crack out the trekking boots and go for a hike or head to your nearest stables and take a relaxing hack on a horse for your date. If all that sounds far too active for you, then head to the pub for happy hour and get a little bit sozzled. I – take a trip to Ikea (Swedish meatballs mandatory) and pick up some flat-pack furniture to see whether you and your partner can still be on good terms by the end of the assembly process. If you’re scared that might be a step too far, why not try ice-skating? J – Indulge your inner hipster by heading to a jazz club with your partner or if you both bond over food, the ‘J’ date is a good excuse for some junk food. If you’d rather stay indoors, dig out your biggest jigsaw puzzle and spend the night in with a bottle of wine. K – Always wanted to have a Sonny & Cher moment with your love? Now is your chance, as K stands for Karaoke. Start warming up your vocals now and practise your very emotional rendition of Adele’s Someone Like You while you can. If you’re not sure you’re ready to debut your pipes quite yet then you can always go for the more subdued activity of kayaking…or failing that, grab a kite and take to the park. L – Always wanted to see how they really film Jeremy Kyle? Now is your chance. Sign up for tickets for a live tv showfor your upcoming date or if you’re looking for something slightly more highbrow, take lessons in French, Spanish or whatever language you’ve been meaning to learn for years now. Lazy daters, we’ll give you the easy option of lunch if we must. M – Take a cultural day out and go to a museum or head to a spa for a couples massage. If none of those appeal, why not try mini-golf or get your friends round for a Monopoly marathon. O – Look up to the stars with a trip to the observatory or dress up to the 9s for a trip to the opera. P – Outdo yourself on the ‘P’ dates with a trip to the park with a picnic in tow. After dining alfresco head to the pedalos for a bit of fun on the pond. Q – ‘Q’ is a tricky one but as always, the pub comes to the rescue. Try your local pub quiz or if you’re really stuck for ideas, suggest that a quickie could be on the cards. R – Shopaholics, we’ve got you. Retail therapy fits perfectly into the alphabet-dating theme. If you’ve got to be a bit more frugal with your money at the moment, head up into the attic and crack out the roller skates. Just try not to break anything! S – If you didn’t manage to squeeze in a massage at ‘M’, try for a full blown spa day for your ‘S’ date. If you’re close to sea then you can also head for fish & chips at the seaside or take a sub-zero dip to cross off swimming. If you need a bit more excitement in your life, head out to a shooting range. Otherwise, a staycation is always a good way to breathe new life into your relationship or if you’re super romantic, try stargazing. T – Act like a child again at your nearest theme park (or use this as an excuse to head to Disneyland Paris) or go trampolining. If culture is what you’re after, then head to the theatre. U – Not content with spending your days commuting on the Underground? Take a trip to the end of a line for your ‘U’ date or head underwater with a spot of scuba diving instead. Everyone looks fetching in a wet suit, right? V – Give yourself a bit of good karma by volunteering at a local charity and then cook up a Vietnamese storm at home. W – Celebrate that you’re nearing the end by taking your other half whisky or wine (or both if you’ve got an iron stomach) tasting. X – Partner glued to the xBox at all times? Then why not suggest joining in for your ‘X’ date, otherwise invest in a xylophone and take turns playing Three Blind Mice over and over again. Y – Come together as one and ramp up the zen factor in your relationship by trying out some couples yoga. Z – Finish off your alphabet-dating experiment with a bang by taking to the skies on a zip wire…or, alternatively, head to the zoo for a fun-filled day of watching animals sleep.